It’s the day after Halloween and your fridge is inundated with bags and bags of Halloween candy you or your kids scored the night before. Sure, it’s great to have extra chocolate around the house to snack on, but you couldn’t eat through that many Kit Kats if you tried! You don’t have to let all that perfectly good free candy go to waste! Toss a few bags in the freezer and scroll through this list of recipes using leftover Halloween candy curated by Something Swanky. There’s plenty of recipes for peanut butter fans, and I’m drooling over the Kit Kat cookie bars! Do you have a favorite leftover candy recipe? Share it with us! I’m a bit too old to trick or treat these days, but I know what I’d be happy to see in my trick or treat bag! How cute is this “sweet kisses” pendant? This fun pendant won’t melt in your mouth, but it will sparkle long after Halloween season has long gone! You can pair this with some of its chocolate counterparts for a real sweet Halloween treat (with no calories)! This sparkler comes with your choice of a 16″, 18″, or 20″ pendant, so it is perfect for all ages. Yum! If you’ve been anywhere on the Internet lately, you may have noticed that Halloween is trending. It’s only September!! We’re all about Halloween, but at least wait until it hits October to break out the costume ideas! Even though in our opinion, it’s a bit too early to hop on the Halloween bandwagon, fall themed crafts (that happen to have orange and black color schemes) are totally acceptable! 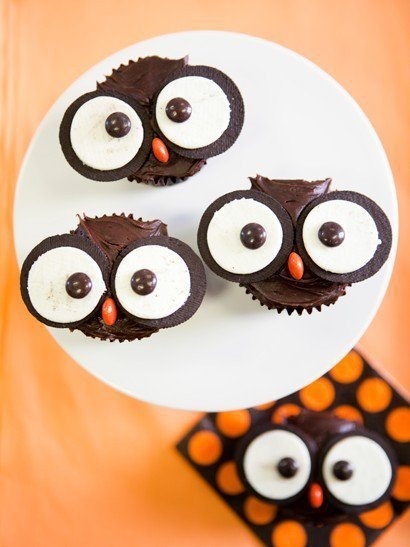 So here’s a fun and easy way to liven up your cupcakes with a fall twist: chocolatey owl cupcakes! All you need is your favorite cupcake recipe, some chocolate frosting, some Oreo cookies, and orange and brown M&Ms or Reese’s Pieces. Bake your cupcakes and frost with chocolate icing. Then, carefully split 2 Oreo cookies per cupcake (keeping the frosting fully in tact on one side of the cookie) and place them atop the cupcake as pictured. Garnish with two brown M&Ms or Reese’s Pieces candies to finish the eyes, and add an orange candy between the two Oreo sides to form a beak. Voila! Cute, yummy owl cupcakes that are perfectly festive and appropriate as a pre-Halloween fall crafty treat! Do you have any fun fall recipes to share? Leave yours in the comments! 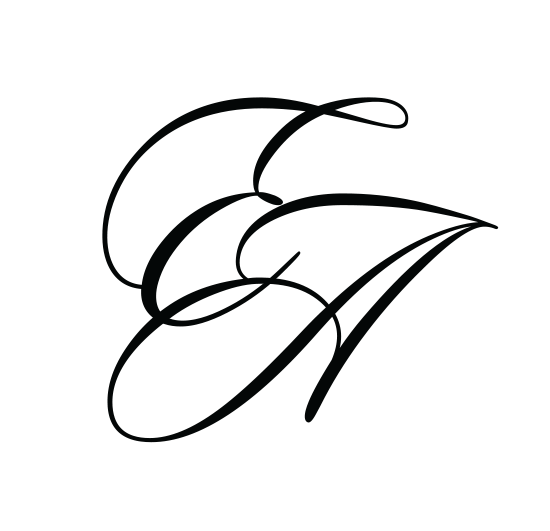 And if you want to double your owl love, check out the Eve’s Addiction owl jewelry collection. Halloween’s of Past and Present Photo Contest! We are SO excited about our Halloween Costume Photo Contest! A Huge Happy Birthday to Katy Perry today! The mega popular pop star turns 28 today! Want to get Katy’s look? (This could make one heck of a Halloween costume!) Scroll down to see how we put this outfit together and how you can too!!! Proceed by singing California Girls and Part of Me at the top of your lungs to anyone who will listen.